After the so called Batterygate, Apple started offering cheaper battery replacements for iPhone. Now report says over 10 million iPhone batteries have been replaced. Batterygate was a controversy over Apple throttling the performance of iPhones after the battery started wearing out. Complaints in the social media pushed Apple to renew their software policy as well as offer a cheaper replacement option. 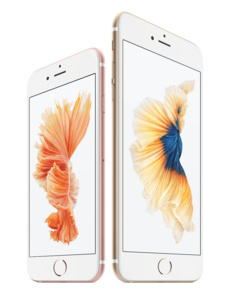 Battery replacement prices for iPhones up until iPhone 6 were dropped from $79 to $29. Combined with better knowledge of the deterioration of battery capacity and performance, even Apple was surprised how many people replaced their iPhone batteries. According to Tim Cook, this even had an effect on the bottom line last quarter, although it probably wasn't the most significant contributor. Some people might have just replaced the battery instead buying a brand new iPhone. Now, according to Daring Fireball, Apple has revealed in a meeting that they replaced 11 million iPhones under the $29 program. Usually Apple replaces batteries for around 1-2 million devices in a quarter. The $29 battery replacement program ended on December 31 and now replacing the battery of an iPhone costs either $49 or $69 depending on the model.